The 26-year-old engineer bought a $35,000 townhouse in a housing development called Borey Chaktomuk City I. But the gated community in Kandal province doesn’t yet exist, despite promises that it will be finished in 2018. Recent photographs posted to the company’s Facebook page show that construction is still in the early stages, and it’s hard to imagine the development’s sun-scorched skeleton becoming the sleek, well-shaded enclave depicted in digital renderings. 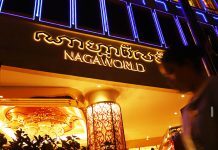 The project is one of many scattered around Phnom Penh and its outskirts, part of a residential building boom that has resulted in a saturated market for condominiums and gated communities—and prompted greater government oversight. Just last week, the Ministry of Finance issued a proclamation threatening a fine of $25,000 for the owners of housing developments that have not obtained a ministry license. It also prohibits any advertising of such projects. As it turns out, Mr. Kong’s worries are warranted. Kim Srong, an assistant sales manager for Borey Chaktomuk City I and II, both in Kandal’s Khsach Kandal district, across the Mekong River from Phnom Penh, conceded that neither one was licensed by the Finance Ministry. “I checked our licenses, and they are from the Ministry of Land Management and Urban Planning,” she said, referring to construction permits. Ms. Srong and other employees of Borey Chaktomuk referred further questions to the firm’s owner, whom they would identify only as Mr. Tin. Reached for comment, Mr. Tin declined to answer questions and hung up on a reporter. Told that the villa he is purchasing in monthly installments of $400 is being built by an unlicensed developer, Mr. Kong responded via text message, sending a single sad-face emoji. The Finance Ministry’s proclamation comes amid plummeting condominium and gated community sales, down 50 and 30 percent respectively, in the first six months of the year. And as supply continues to outstrip demand, concerns that developers will be unable to finish proposed projects—or repay customers if they fall through—are mounting. 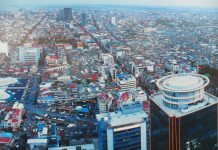 “Previously, we were in the collection stage,” said Noung Piseth, director of the Finance Ministry’s industrial finance department, referring to the 2000s, when there were fewer developers in Cambodia and the ministry’s priority was growing the market. During this period, Mr. Piseth said, the ministry “did not require them to show their sources of financing” and granted licenses for proposed projects without scrutinizing their assets or plans. Now, with the market saturated, the ministry is only issuing licenses to companies with sound finances and clear business plans, he said. “We require that developers not only have construction permits, business registration certificates, patents, etc., but that they also reveal their sources of financing,” Mr. Piseth said. In Phnom Penh, the ministry has licensed a total of 167 housing development, 63 condominiums and 104 gated communities, according to Mr. Piseth, who estimated that between 10 and 20 percent of projects broke ground without approval. And what will become of the prospective homeowners? 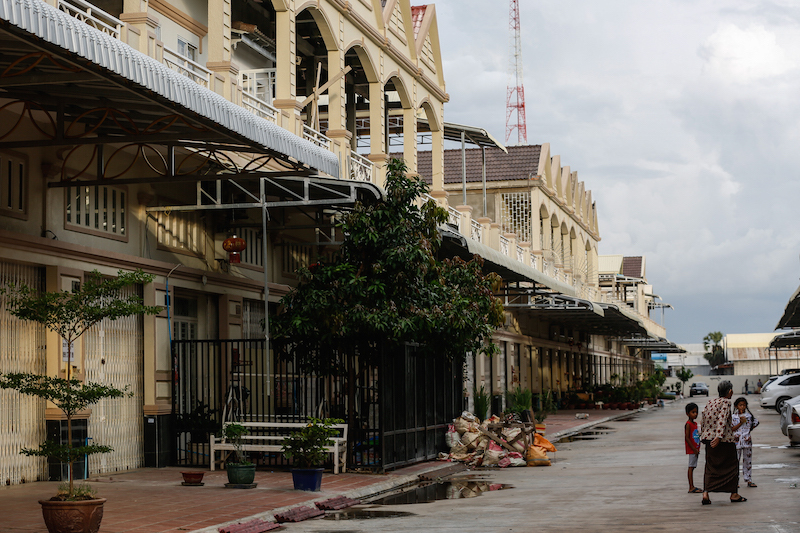 “Previously, there were developers or bad people who did not comply with regulations,” said Huy Vanna, secretary-general of the Housing Development Association of Cambodia. But while fraud is one problem, ill-informed buyers are another, said Rithy Sear, the CEO of real estate company Oxley WorldBridge. Mr. Sear said many buyers purchased units assuming the developer needed only a land title and a construction permit, while developers misled buyers by using these documents to say they were properly licensed. “A long time ago, developers just requested licenses from the Land Ministry, but not the Ministry of Finance,” he said. “The Land Ministry issues licenses that allow developers to construct their projects, but the Finance Ministry issues licenses that regulate a development’s [tax] payments” and company finances. Mr. Kong said he has been visiting the site of his future home every month, and has seen steady progress. But asked whether he trusted the company to finish the project, the engineer hesitated.